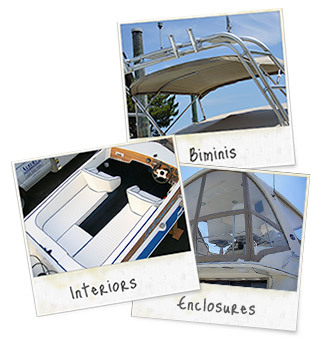 Albert's specializes in enclosures, tops, covers, and interiors for all your boating needs. Albert's has a longstanding relationship with many local marinas and will work in conjunction with your boat maintenance provider or will work with boat owners directly. Boat coverings not only increase the value of your boat but they also provide privacy, protection from UV and UVB rays, protects instruments from the elements, and keeps your upholstery from fading. Arrangements can be made for marinas and boat owners to deliver boats to our business location for fitting and completion of boating needs. 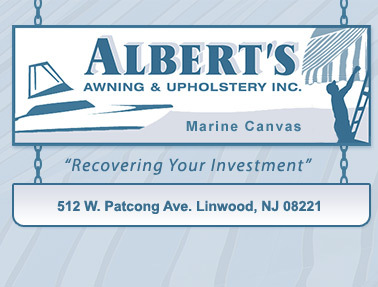 Also for your convenience Albert's will travel to your marina to provide service for your canvas needs. Please note, however, that some jobs require your boat to be on dry dock to be fitted and completed.